Inspired By True Events - Those two really can’t have a touching moment. Those two really can’t have a touching moment. I didn’t even realize it would be Good Friday today until half an hour before I wrote this. I do now, though! 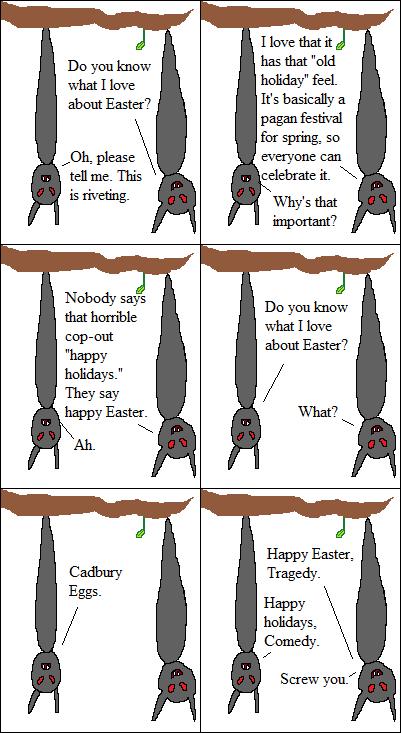 Happy Good Friday, imaginary readers, and Happy Easter.